Pyongyang (dpo) - Was it all just a front? According to information from the CIA, North Korea did not actually carry out any nuclear weapons tests on Sunday. In reality, the tremors detected by seismographs in the country are said to have been caused by North Korean leader Kim Jong-un, who was supposedly at pole-vault training at the time the tremor was detected. 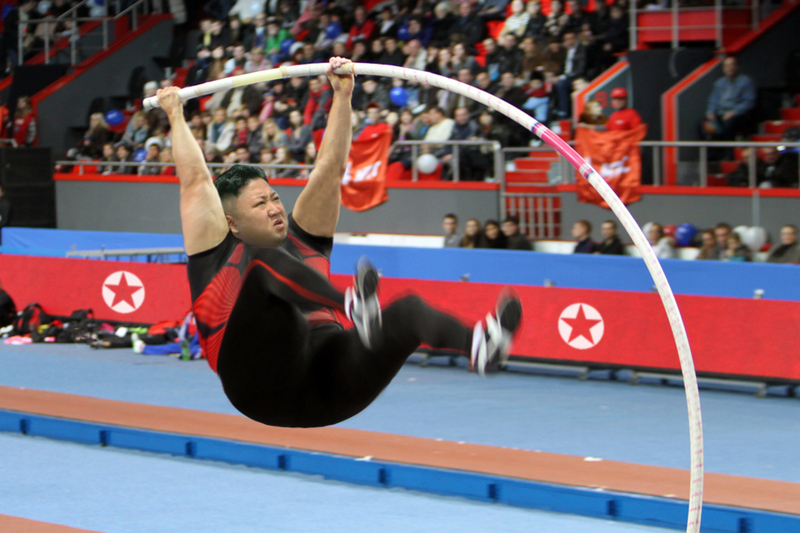 “A source close to the leader sent us a photo showing Kim Jong-un pole vaulting”, reports CIA spokesman Frank Willis. “We are uncertain this time how high he vaulted; however, a spokesman for the North Korean government assures us that he reached 6.38 m, or almost 21 ft.” That makes it a world record and the vault was followed by a tremor measuring 6.3 on the Richter scale. It appears that high-ranking military officials leapt at the opportunity to create the rumour that the country had successfully launched a nuclear weapon. A rumour which then spread around the world. Kim Jong-un vaults with a completely new breed of fibre-glass reinforced pole with titanium strands woven through the structure. Approximately 80% of North Korea’s budget is spent on research into vaulting poles.